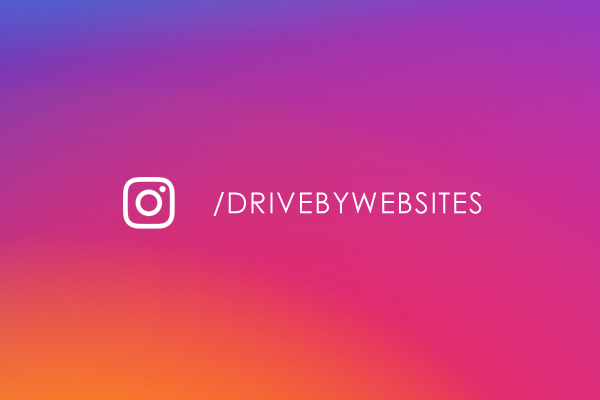 We’ve just launched our Instagram - Drive By Websites Ltd.
As many of our clients have recently discovered, we have just launched our Instagram business page. Instagram can make a business look fantastic online and it does have a good share of quality users. Unfortunately, the best practice for achieving the most involves maximising engagements and it’s easy to forget that this is where most of your likes are coming from. Engagements are the highest priority for a social media manager (personal or commercial). The more you engage the better you’ll do. Hence, if you don’t have the time or patience, it’s tough to grow your audience on Instagram. Businesses using Instagram will often feel their time is well spent while collecting a large number of likes that add no value to their business in reality. But this is obviously no reason to avoid it entirely. The overall benefit is still quite high with expectations properly managed. There is a growing audience on instagram, both globally and locally. Around the Facebook privacy controversy, Instagram has benefited from a 30% boost in users. So now we’re live and it’s rejuvinated some excitement for social media again. We are regularly engaging with our growing audience now and hope to set a good example to our customers. We’ve reached 136 followers in around a week, which we are quite pleased with. We’ll be promoting graphic design just as much as website work on our Instagram page.